Three absolute heavyweights in their own respective lanes have collaborated in what is sure to be on the list of many. 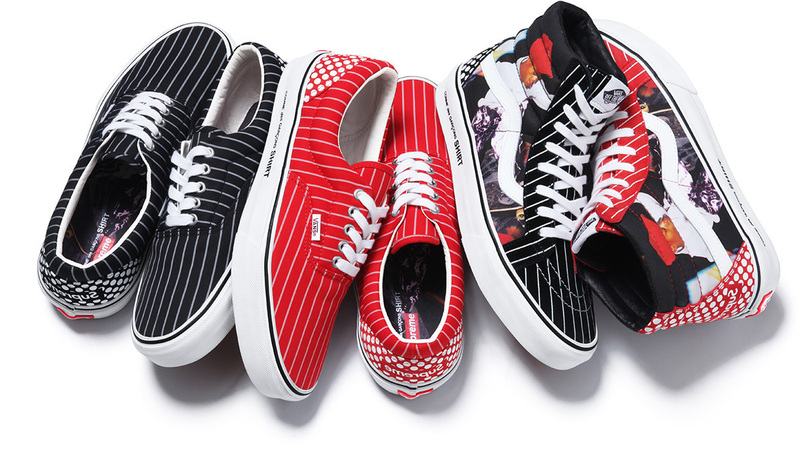 Supreme, Comme des Garçons SHIRT have teamed up on these three different Vans all featuring branding and visuals from pulling heavy inspiration from the skate world. The Sk8-Hi in the collection uses a picture of Harold Hunter as it's base with Comme des Garçons SHIRT special fabric made exclusively for Supreme. Rounding out the collection are two different Vans Era's with both featuring that same fabric but with a stripe treatment in black and red. You can look for this collection to drop online and in store at the Supreme store on 6/28. Make sure to get your arrangements in order if you want a pair as this three headed monster of a collab is sure to generate plenty of buzz.